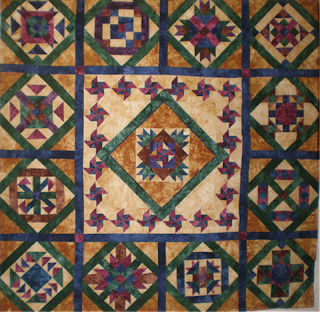 On my design wall this week is the Medallion Quilt. 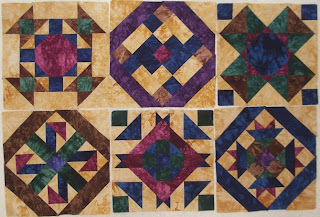 I am making progress, and have all of the blocks completed and I am working on the center Medallion. This is my UFO for April and hope to have it finished before leaving on a business trip later this month. 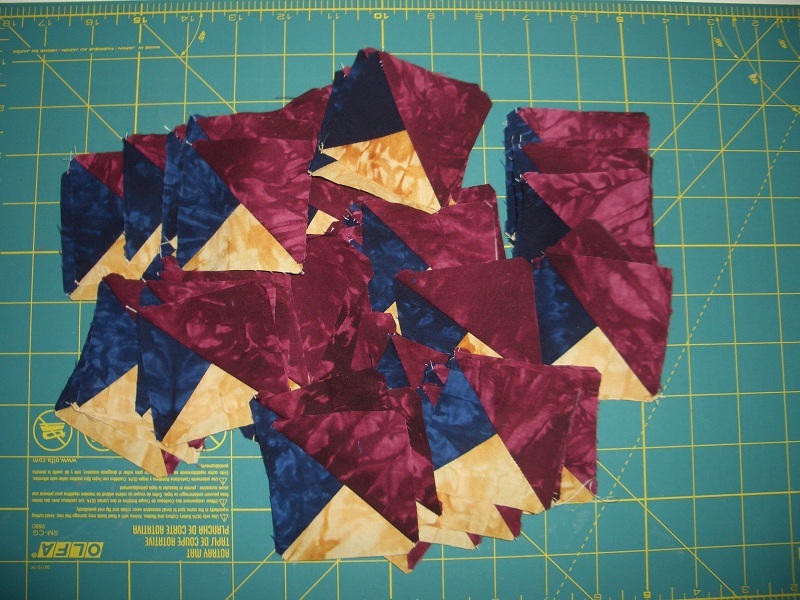 84 sections done for pinwheel blocks. 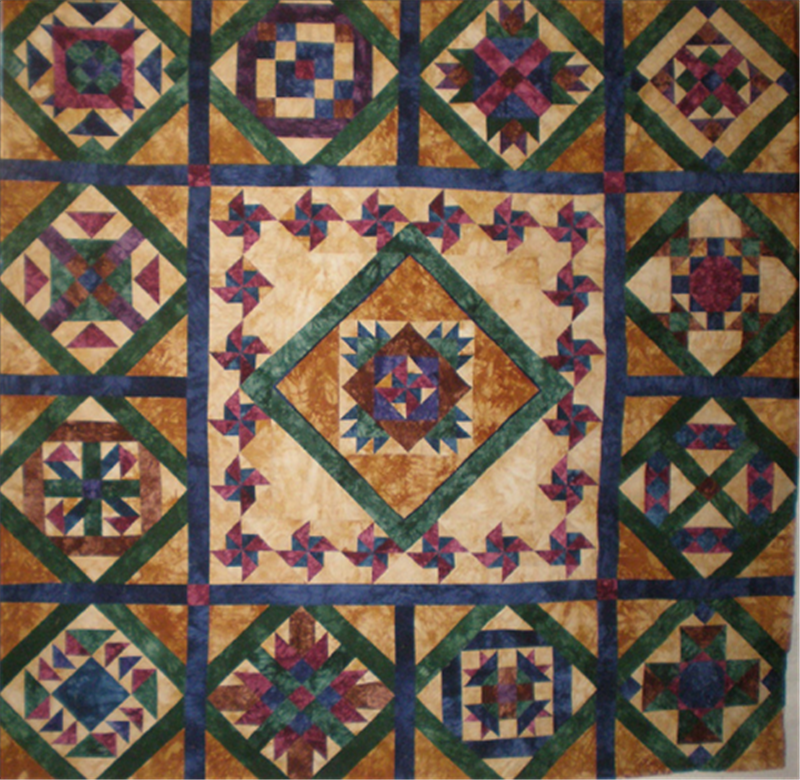 Here is what the completed quilt looks like. 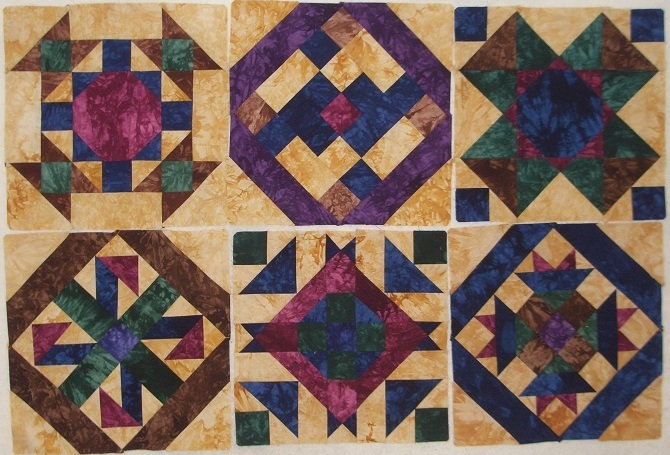 What will you be working on this week. 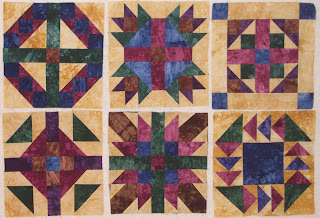 See other Design Walls at Patchwork Times. this is diffently a beauty! 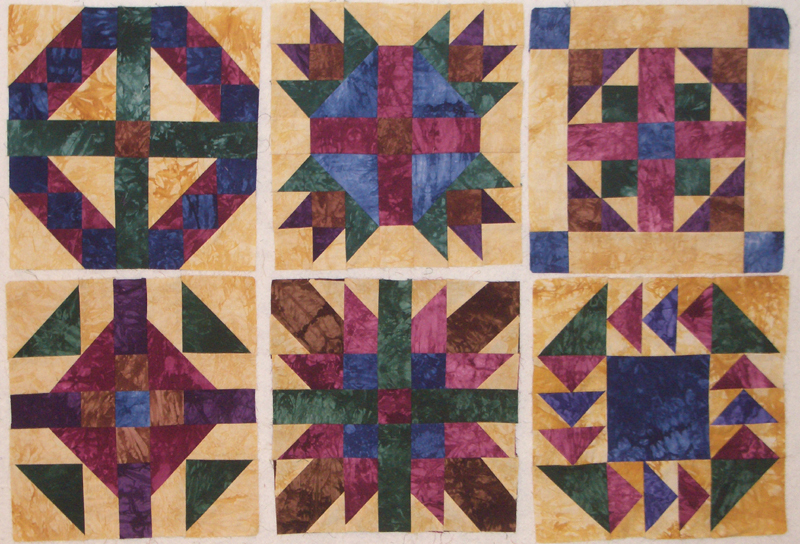 The colors are perfect for this quilt, great job.